Sweet Leonardo Lion, this soft and cuddly stuffed lion, is full of fun and ready for adventure. 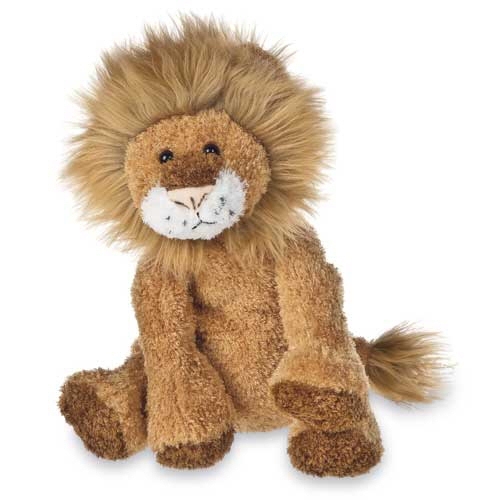 With its soft brown fur, freckled muzzle, and fluffy mane, Sweet Rascal plush lion Leonardo will delight lion lovers of all ages. Sweet Rascals stuffed animals are understuffed with "beanie" bottoms (perfect for sitting) and their sweet personalities will make imaginations soar. Roary, this adorable Dreamy Eyes stuffed lion, has soft tan fur, fluffy rust mane and tail tuft, and big sleepy brown eyes. Plush lion Laugh has soft frosted tan fur, fluffy rust mane and tail tuft, and black eyes in a sweet face.